After an incredible 2017 which has seen Food & Baker go strength to strength, us visit 13 new countries and continue to travel up and down the UK, we are now contemplating our 2018 goals - always striving to do bigger, better and more! 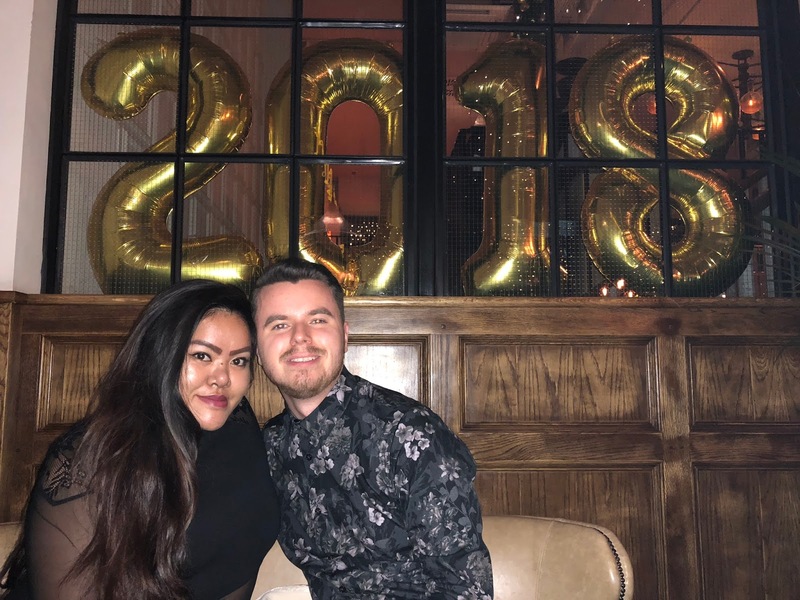 Looking back on our goals from this time last year, some were achieved easily and some didn't even come close, but we will always do this with realistic ambition and we can't wait to get started with what is sure to be an amazing year! Begin work on a secret new project! Now back in Sheffield for my final year of university, I can't wait to graduate and continue where we left off in living together and with fingers crossed, bag a spot on a graduate scheme! With Jessica taking a brand new job in social media in the latter part of 2017, it's going to be amazing to do what we love both in and out of work, and continue sharing it with you all! Thank you for your continued love and support and making what we do so rewarding! We hope you achieve all your goals and dreams and have an amazing year ahead! I know, it’s been an absolute dream to go around Italy and we hope it goes well! Thank you and you too! Fingers cross it’ll all go to plan! We’re slowky hoping to accomplish the world! Oh wow that’s cold but we’d love to go there one day! Have a safe trip! Thank you! We’ve actually been to Bath and it’s so pretty, although it’s beeb a while since we’ve been there, maybe we’ll plan a trip to go back! These are some great goals you have here and I wish you all the best for reaching them! Thank you so much, hope we can accomplish them all this year! I know right, who doesn’t love Italy? We’ve been to some cities but separately so we hope to do it togther this time! Trust me, we understand that feels but most of these are short trips and doable in certain periods of our work and uni schedule! Ohh, Interail through Italy! What an experience that would be! I've never been to Italy, but I hope one day I get to visit. Looks like such a gorgeous country! Omg right?? The views, the cities, the FOOD! Can’t wait! Let’s hope all goes to plan! We will definitely be sharing if we do! Wow, sounds like you have a very exciting year ahead. Your travel goals sound amazing! Good luck with uni. 2018 is already looking up to be one of the best years! I would LOVE to interrail around Italy. Interrailing is so much fun, I hope you get to do it! Eeeep I know right, we had so much fun doing it last year and we really hope we can do it again this year! Great goals! Sounds like you have a fab year ahead! Thank you! Most definitely going to be a great year! I interlined around Italy in 2016 and loved every second of it! I visited Rome, Naples, Venice, Cinque Terre and Pisa. Do you know where you guys want to go yet? It's an amazing country! OMG amazing! Do you have any posts on them? We’ve got a rough idea where we want to go but nothing confirmed! Ugh that must have been amazing to live there! We really do hope we'll be able to do it! These are great goals, sounds like you're going to have an amazing year! The best year! Thank you so much!